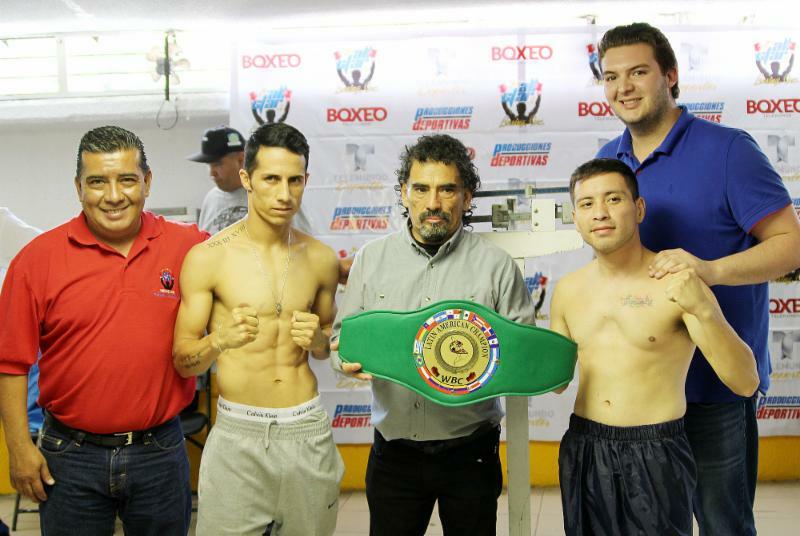 Mexico City, Mexico: The succesful series Boxeo TELEMUNDO Ford continues its summer season this Firday, July 27 from the Blackberry Auditorium in Mexico City, Mexico. 6 More fights are schedule, doors open 7:30 PM with the first bell at 8:00 PM. Tickets are already on sale at www.ticketmaster.com.mxor at the Auditorio Blackberry Tlaxcala 160, Hipódromo Condesa, Mexico City. Telemundo Network will televise the main event live at 11:35 PM. The show is being presented by All Star Boxing, Inc in association with Producciones Deportivas. In the main event WBC Latin Lightflyweight Champion Saul “Baby” Juarez defends his title against his compatriot Mario “Mayonesas” Andradein a bout schedule for 10 rounds. Juarez of Mexico City stopped highly ranked contender Gilberto “Yaqui” Parra (RIP) in his last fight March 9 at the Blackberry Auditorium as part of the Boxeo Telemundo spring series. “Baby” is currently ranked #5 WBO, #8 WBC and #9 WBA and brings a record of 24-8-1-13 KO’s. Andrade of Pachuca, Hidalgo, Mexico had 6 straight victories before losing to undefeated world ranked contender Junto Nakati last April 15 in Tokyo, Japan. “Mayonesas” twice won the WBC Latin title that Juarez hold today and is currently ranked #19 WBC in the flyweight división. He brings a record of 13-7-5-3 KO’s. This crosstown rivalary is being billed “Por Orgullo Chilango” and is expected to be a war betwen two of the best Jr. Flyweights in Mexico. Previous boxing news: Weigh-in results: Mikey Garcia vs. Robert Easter Jr.